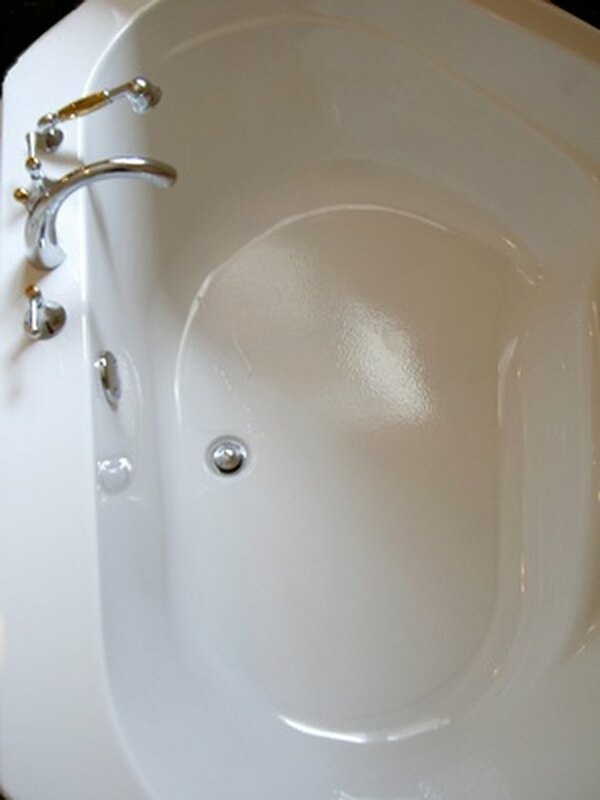 Homeowners looking to update their bathrooms often choose acrylic bathtubs because acrylic tubs have nonporous surfaces easy to maintain and harbor less bacteria buildup and mold. Acrylic tubs come in the traditional white, gray and beige, but other colors such as red, green and black can be found as well. 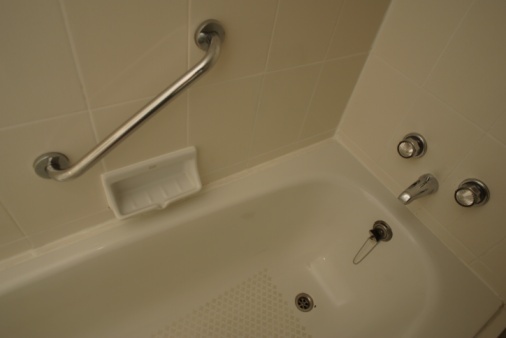 Because of its surface, cleaning the bathtub does not require an expensive bathroom product. 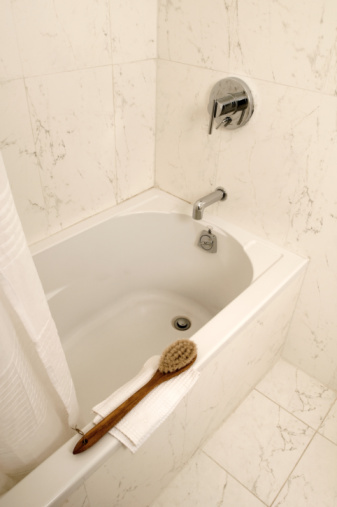 Common household supplies can be used to keep the bathtub clean. Cleaning an acrylic tub is a simple process. Mix one part vinegar to two parts water in a spray bottle to create an effective cleaner for an acrylic bathtub. The vinegar cuts through the dirt and oil and leaves a streak-free shine on the bathtub surface. One part bleach with two parts hot water is an excellent cleaner and disinfectant for acrylic bathtubs. Soak a sponge in the solution and wipe down the tub. Avoid using a scrub brush as the bristles can scratch the acrylic surface of the tub. Rinse the tub with warm water after cleaning. Squirt a generous amount of liquid dish-washing detergent around the inside perimeter of the tub, covering all grime or dirt deposits. Let the detergent sit for 10 to 15 minutes, then wipe away with a damp cloth and rinse out the tub. Do not use cleaners with abrasive ingredients such as acetone or ammonia that would generally be used to scrub porous surfaces. Avoid abrasive cleaning tools such as scouring pads. The abrasives will scratch the acrylic where bacteria and mold can gather. Minor scratches can be sanded out, but if the scratches are too deep, the acrylic surface will have to be reapplied.